We are waiting for you in Le Bettex, a small town in the Belleville Valley, where you will enjoy an authentic and cosy atmosphere, whether you come with your family or friends. It is an exceptional location, in the heart of the French Alps. CLICK HERE for download the slopes map with our location. 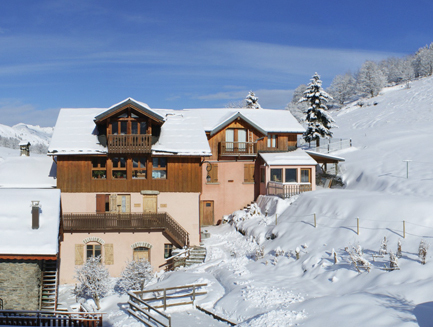 We have six apartments and one chalet, all recently renovated to a high standard. They are warm, cosy and equipped with every kind of comfort. They face south with stunning views of the mountains. We have the highest rating of the station. Contact us now and start dreaming about this deserved break in Le Bettex! In Les Balcons du Betaix we use our own cookies to improve your user experience, improve our services, as well as to analyze your browsing habits in order to show you advertising related to your preferences. If you continue browsing without changing your configuration, we will consider that you accept to receive cookies on this web page. However, if you wish, you can change the cookie settings at any time.